Yun Zhong, Ph.D., is Equity Research Analyst and Director of Biotechnology Research at Janney Montgomery Scott LLC. Dr. Zhong joined Janney in 2017 with over seven years of experience as an associate covering the biotechnology industry. He has experience in several therapeutic areas including gene therapy, rare diseases, central nervous system disorders, infectious diseases, hepatobiliary disorders, among others. 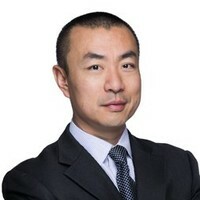 Prior to Janney, Dr. Zhong spent over three years at SunTrust Robinson Humphrey, where he covered several companies while working within their health care/biotechnology vertical. From 2011 to 2014, he worked as a biotechnology equity research associate at Cowen and Company. Prior to Cowen, he worked as a postdoctoral fellow in the Department of Neurology at Mount Sinai School of Medicine. Dr. Zhong received his Ph.D. in neuroscience and molecular biology from the Rockefeller University and both his M.S. and B.S. degrees in biophysical engineering from Osaka University in Japan. To get Dr. Zhong’s complete list of targets, read the entire 3,466 word interview in the Wall Street Transcript.